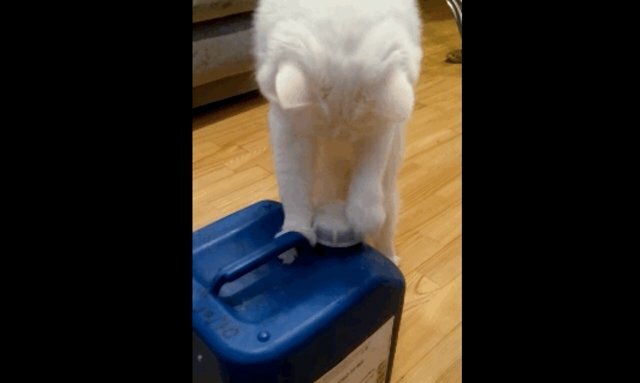 This little cat has an intense curiosity, and has decided to take matters into his own paws - quite literally. 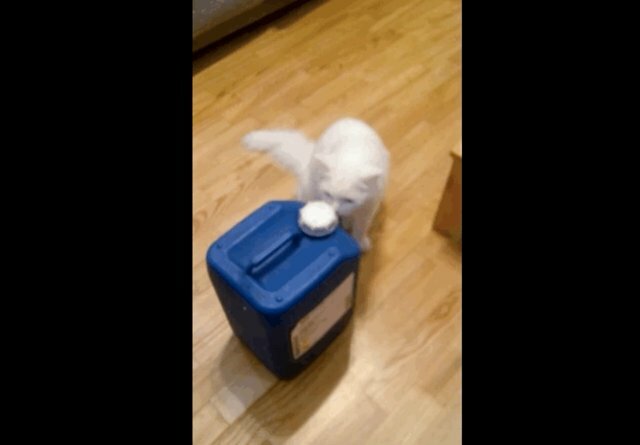 This milk jug is too tantalizing to remained sealed, and must be opened in the name of curious cats everywhere! 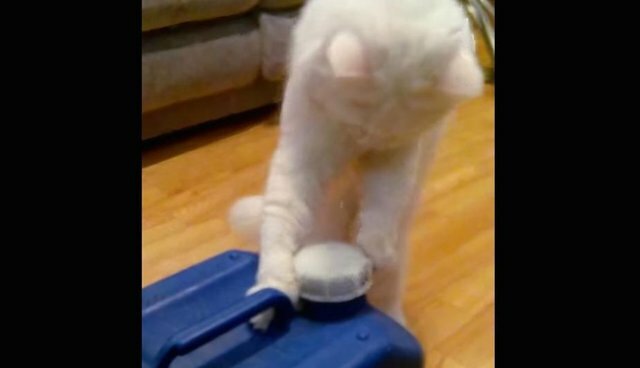 With the dexterity of a human, this clever feline expertly paws the lid until the cap gives way. Because cats are expert problem-solvers like that. And of course, after such a complete victory, you have to inspect the spoils. 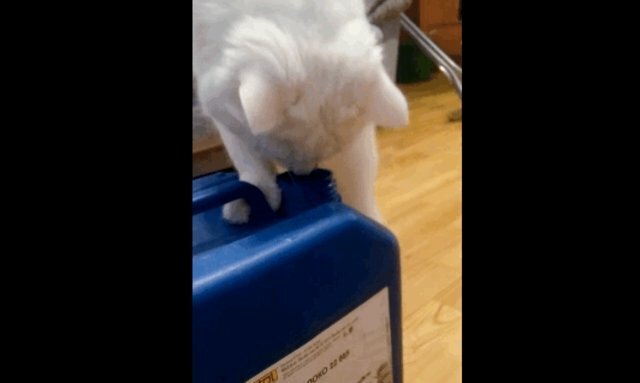 The cat dunks a fluffy paw into the jug to have a teensy taste (not too much, though) - because what fun is opening a milk jug if you can't sample the milk? 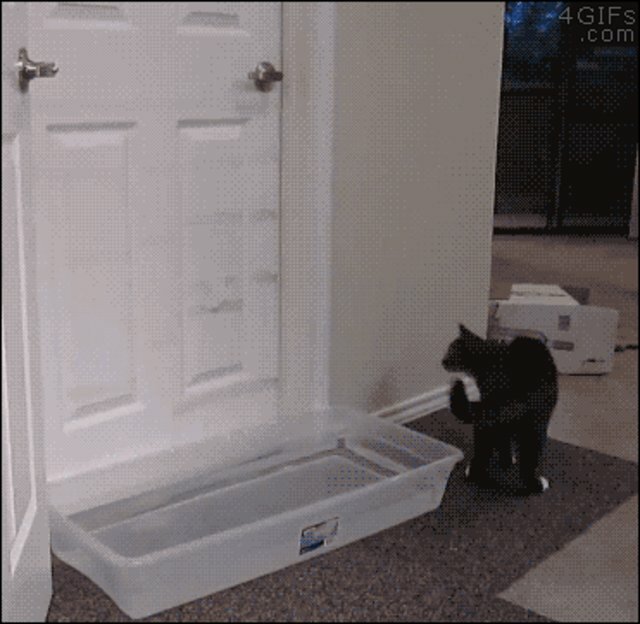 This cat isn't alone in his ingenuity. 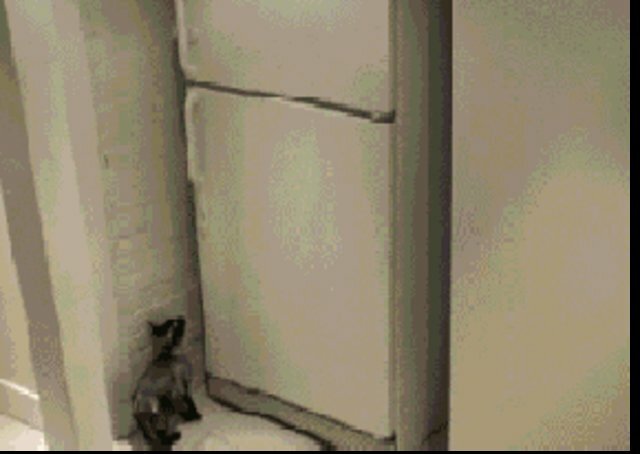 Cats are basically unstoppable when it comes to being independent. They don't need you to open the door for them, thank you very much! ... because, as all cat lovers are aware, cats are basically magic.